Isn’t it funny how spending time with friends creating can turn into something new and wonderful. Last summer Shara Reiner and I got together to play. Our plan was to create some of her birds dimensionally using Quikwood along with other things. The first day started off a little slow with each of us trying to see the others vision, but the next day that all changed. We were sculpting angels, Santa’s, and snowmen. We had so many ideas that we couldn’t keep up with ourselves. We sculpted from morning to night – it was a creative high. And then Shara said we should turn these into patterns and Shara Jane was born. We came out with our first set of patterns last fall. Then we had the crazy idea to do the Las Vegas show this year…so we came out with more new fun patterns. Each of our patterns are a little bit Shara, a lit bit Jane. Some are more Shara and some more Jane but they are all Shara Jane. If you look closely you can see some of each of us shining thru in them. We NOW have our new patterns on our websites. In the next week or so we will have the bits and pieces to make the projects on our websites. These will be some of the thing’s that you just can’t get at a craft store such as the carts, vases, and tree base. The patterns also have instructions to make those things. Speaking of patterns, did we tell you that all the patterns link to a web page with videos that give you step-by-step instructions. So you can watch a video and then do the step. We have worked really hard to make these projects easy for you to do. We hope you will enjoy creating these new projects. Shara lives in California and I live in Pennsylvania so to save on postage and/or time pick the one of us that is closer. Love them all! Great collaboration! Enjoyed reading this today! Saw your great things in Vegas! Love all that you two are creating!!! So great that you will have everything available to complete the new projects! Thank you! Thank you Christine, we are enjoying the journey. Having people like what we are doing makes it so much sweeter. Can I just tell you how wonderful these are….keepsakes for sure! 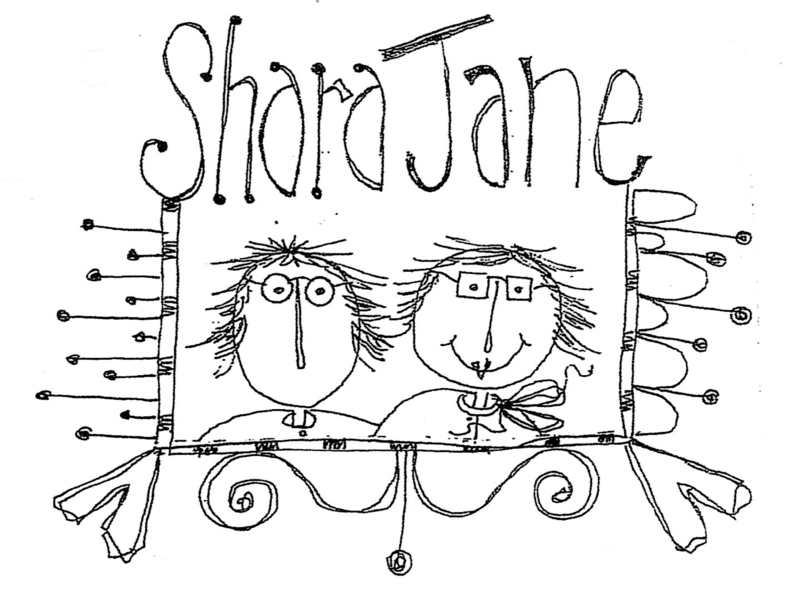 Creating with Friends is the most exciting and inspiring thing to do….Love Shara Jane! Me too! I should have my car back soon….then I will need my Jane fix! These designs are fantastic,fun and fresh. You can tell you had a blast creating them. Now, I have to decide which one to start with. I love all of these fun and whimsical designs, they’re amazing!!!! Thank you Sharon, we will be here for you. I love that you are sacrificing what you really love for lent. Wonderful creations Ladies! I still think that tree would look good in my new art space :). So creative Jane and Shara! I so enjoyed making 12 of your Holly Ornaments for grands , nieces and nephews for Christmas. Everyone loved them! I still have my Queenie, Princess, Frostbite and Snowflake to make. Thank you Lynn so glad you enjoyed creating our girls….and that your family loved them. Look forward to seeing you at net.